Sophsterlicious • UK Blog: Crown Brush Smoke It Out Palette..
Haha! Isn't it gorgeous? 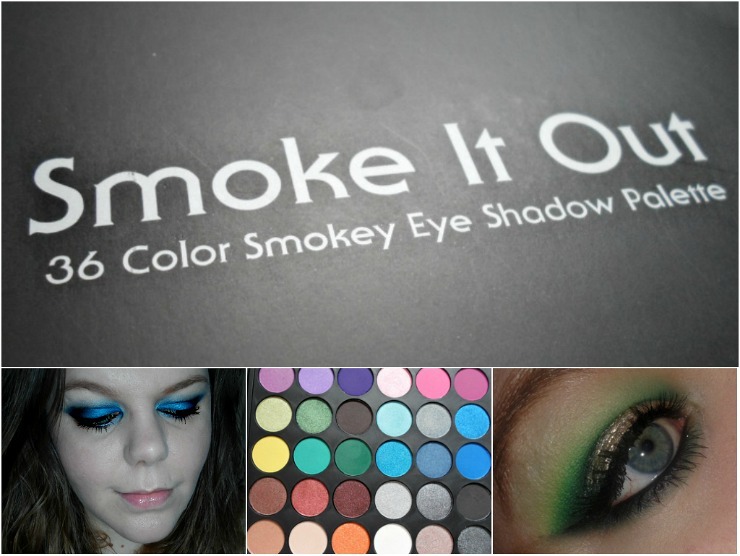 Blog readers, meet the Smoke It Out Palette* from Crown Brush! It's the most me palette I've ever seen, and I have a lot of palettes. The thing is, my favourite make up is dramatic and smokey, but I love colour! So put them together and what have you got? This beauty! It's really, really gorgeous and I've been playing with it for a while now. You can see a couple of examples of looks in the collage above, and I can assure you there will be many more to come. So let's talk about the palette. . It has 36 eyeshadows and each one is pigmented, even the few matte shades that are included. They are soft like buttah and blend like a dream, they really do. I didn't do swatches, mainly because I do them so badly and I thought the makeup I've done with the palette was much more interesting anyway. The shadows come in a sturdy black casing which is light weight and stays firmly closed.. this is important because some palettes try to open in my luggage when I travel and I hate it! I really don't know what else I can say to sum this palette up. If you love dramatic makeup and experimenting with colour and this makes you go wow, then you'll love it and you should get it! I am very happy that I own it. It's a perfect palette for any season too, because the colours are so versatile. Do check it out here if you're as in love as I am. It's only £19.99.. Yes. Under twenty quid.. I know! I really think I need this in my life! I love the blue look you have created.